Morro Bay is an exciting coastal city in California that offers a number of activities to enjoy. It’s location makes it a great area to explore neighboring cities such as enjoying lunch pismo beach. If you’re looking to stay in the area, start your day off right with breakfast. 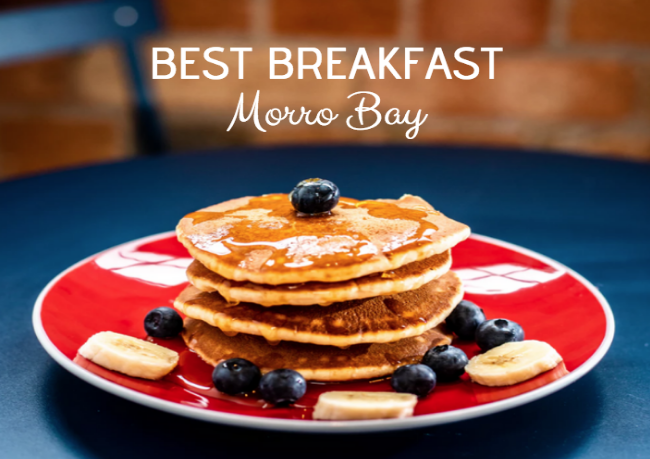 Looking for the best place to eat breakfast in Morro Bay? Check out these options. For some classic diner options, head to this cafe that is known for their omelets, fresh baked cinnamon rolls and sandwiches. For breakfast they have all the classics from fresh pancakes to french toast to eggs. They also offer burritos! Breakfast is served from 6:30am to 11:30am. If you come later, try their lunch options which are served until 2pm. This family owned and family friendly local eatery has been around since 1942. While the restaurant is known for being serving seafood, they also offer delicious breakfast items from 7am until 1pm. Enjoy a wide variety of omelettes served with potatoes and toast, egg scrambles, pancakes, french toast, waffles and more! If you’re looking for a morning cocktail, try their Red Dog, served with rum and fresh squeezed grapefruit juice. Looking for some classic home eating? Head to this casual eatery that serves up American comfort food and breakfast all day from 6:30am to 2pm. All breakfast options from scrambles to omelets are served with country potatoes or hash browns and your choice of toast, biscuits or muffins. Enjoy waffles, pancakes, french toast and country favorites like biscuits and gravy. Located on the waterfront, this location is known for daily happy hours as well as breakfast served until 4pm. Choose from a number of eggs benedict options served with country potatoes and fruit as well as other options such as huevos rancheros or homemade biscuits and gravy. Need some caffenation or a quick bite to eat? If so, head to this local coffee shop serving up a variety of caffeinated beverages such as espresso, cappuccino, mocha, lattes, teas and of course, a classic cup of house coffee. For a bite to eat enjoy bagels with cream cheese, bagel sandwiches, burritos and veggie options as well.